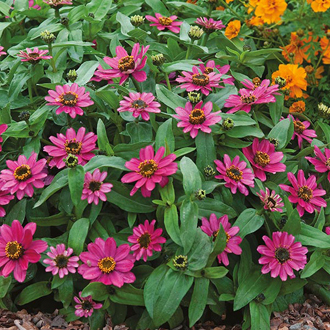 A richly coloured long lasting variety, looks fabulous in bedding and patio containers with neat and compact long lasting flowers. Easy to grow. 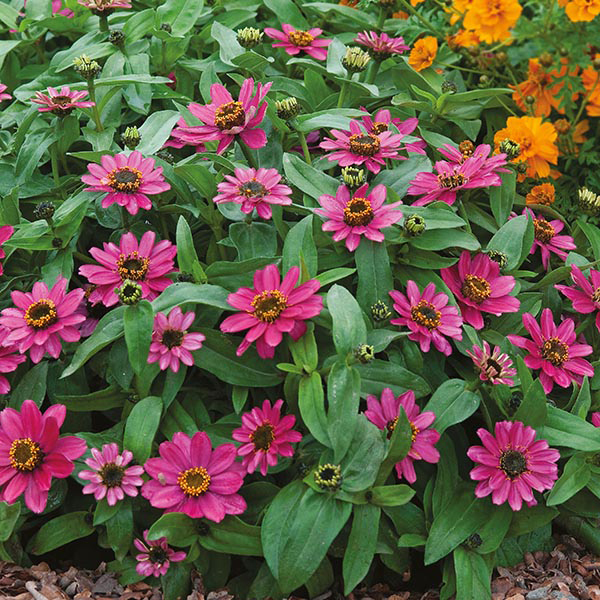 Sow outdoors where they are to flower, 0.5cm (¼”) deep, directly into finely prepared soil which has already been watered. Seedlings usually appear in 14-28 days. Thin seedlings to 30cm (1’) apart. Water well until plants are established. Or sow indoors in trays of compost. Water well and place in a greenhouse or cold frame. Keep moist. Transplant seedlings 5cm (2”) apart to other trays when large enough to handle. (Always hold seedlings by a leaf, never by the stem.) Gradually accustom young plants to outside conditions (avoid frosts), before planting out 30cm (1’) apart, when frosts are over. Mr. F’s Tips: Remove dead heads regularly to prolong the flowering season. Once planted out in the garden, avoid overhead watering as this will help prevent disease.